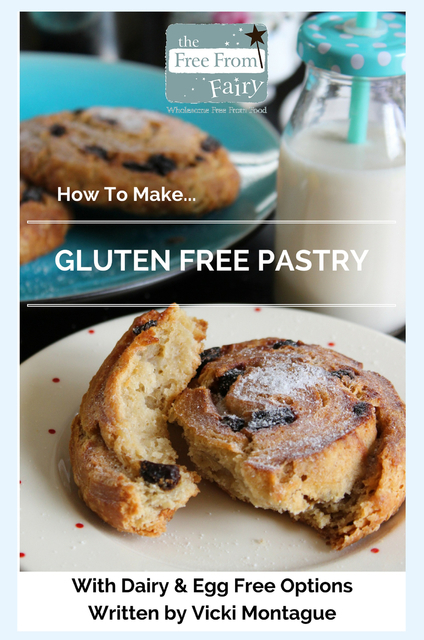 Discover how to make gluten-free shortcrust, choux, rough puff and Danish pastry using the plain wholegrain gluten-free flour blend from the Free From Fairy. A video is also included to show how to make the choux pastry. Two recipes are included using each of the pastry types including ones for pain aux raisin and sausage rolls. I create simple wholesome free from recipes that everyone can enjoy, and I share many of them along with my advice and tips on my blog. Also creator of "Fairy Flour", a wholegrain gluten-free flour blend that can be used in all your free from baking.